I was intrigued by this novel, it seemed to offer something a bit different, a blend of m/m romance, with sorcery and magic, and a mystery in which to use those abilities. Well, poor Demetrious, he’d been through such a lot, bullied as a child by an overbearing, immoral, wealthy father and then spent all his money defending himself from the accusations that he poisoned him. That took five years ( guess fantasy trials take as long sometimes as those in the real world!) All that time he was grieving at the loss of his long time friend and lover, and holding tight to an awful secret. He’s so full of sorrow he comes across as beaten, given up in spirit and just going through the motions of living, just marking time. Thoughts of his dead lover still dominate him and he misses him terribly. Then he gets called to the investigation of the prince’ on-going poisoning…and meets Rodger. There’s an attraction between them from first glance, but things take a while to develop, going one step forward and two back. Rodgers has a past that affects him as does Demetrious, though in a different way. I enjoyed this novel, but it’s not one that kept me glued to the page, or that I would re read. It was something different for me, and on that basis it filled what I wanted, but this kind of magic and story isn’t really what I want to read all the while. I didn’t guess “who dunnit” so to speak, that was a real surprise – but that’s good! There were a couple of gentle m/m scenes but not overly done, and did fit the story. Stars: three, a fun, one off read for me. ARC supplied via Netgalley and publishers. Everyone knows of the Disney version, prettied up, saccharined and glossed over and without the harsh realities that was life then. This book tells it as it was. 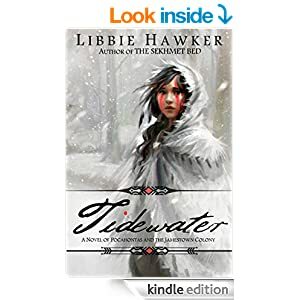 Its a fictional account but Libbie Hawker has done careful research and included many excepts of reports of the time that could have happened. John Smith was real, and he wrote many sensationalized accounts of his time there, so its difficult to assess what’s genuine and what has been “souped up” – rather like the media celebrity reports and biographies today!! Its a wonderful story, where we meet Pocahontas and the Real People while she is still a young child. She’s curious when the first English boats land, and acts as a link between them and the others of her family. she’s got a talent for languages, and quickly becomes able to come and go as she pleases, taking back to her father reports of what is happening. Naturally they are cautious of the English plans, and how they will affect them. They know little of the English and don’t know how many more may come. There are disputes within the People on how best to deal with the problem. From a tentative start things quickly go downhill through misunderstandings, pride on both sides, an unwillingness to learn from the People and source food among the gentry that comprise most of the first people there. They see the People as uneducated savages, and won’t acknowledge they could learn from them. John Smith knows they need to learn from the Natives about surviving in this harsh land, but most of the others see manual work as demeaning to their station and are content to do the minimum to get by, waiting for supplies from England. They won’t take notice of Smith, seeing him as just a Commoner so uneducated. That’s where Pocahontas acts as a link to Smith, teaching and learning languages of both parties and telling him about their lifestyle. He’s alone though in wanting to make this work, the others seem to feel the People will just accept English rule and bow down…and of course they don’t. It amazes me how arrogant we were in taking over other countries, and sadly I feel much the same would happen now if the circumstances were to arise. 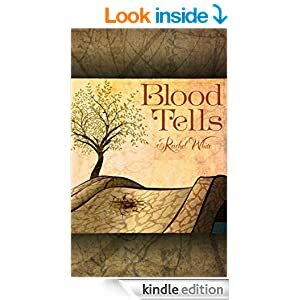 Its a great tale, showing us some of the Peoples traditions, their day to day life style and how they gathered food, worshipped their God, depended on the seasons and the land for food. Its not all one sided though with People good, English bad, there’s double dealing on both sides, treachery within ranks, and some horrific cruelties perpetuated on both sides. Pocahontas is in a unique position, but as she has been all her life she’s slightly apart from the others, and this continues with her links with the English. She went from a precocious child to a young adult who was trying hard to do what was right for her people, even when that came at great sacrifice to herself. Its a wonderful tale, very emotional and moving, and its a book to savour, to mull over, to think what would happen if…. Stars: Five, its a fictional but realistic account of the time.